HAPPY 2019!! 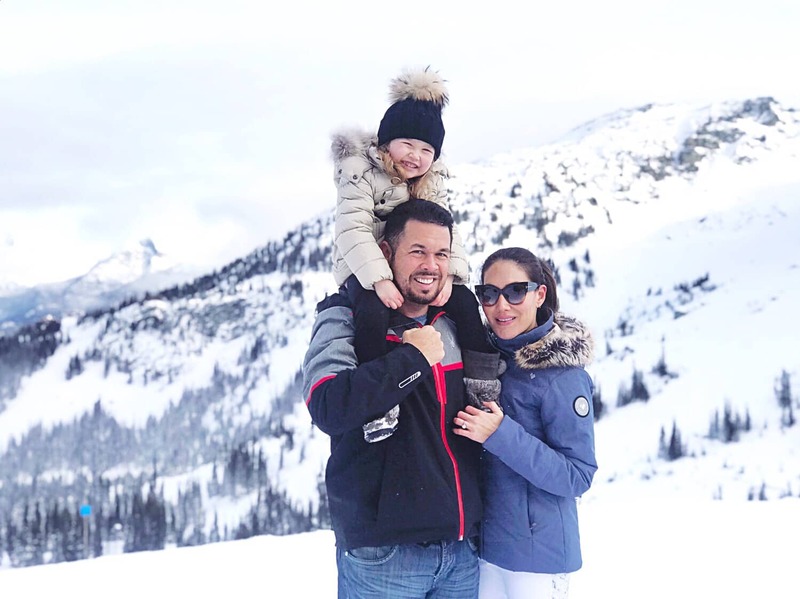 We finished 2018 with the most amazing trip in Whistler with our family. 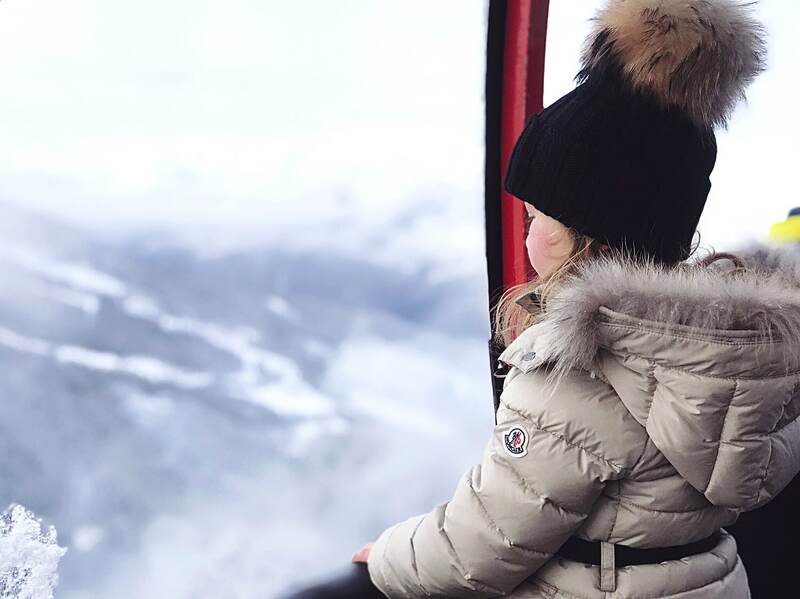 If you remember our Whistler trip from last year (see post here), we had to come back again, because it was so amazing! 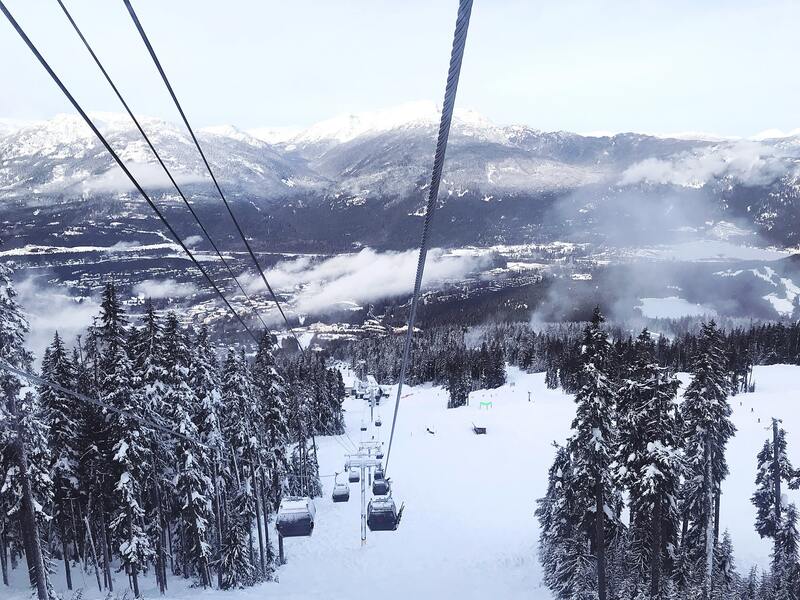 This time, we treated our dad for his Christmas gift – he now understands how magical Whistler is for the holidays… A true winter wonderland to say the least! 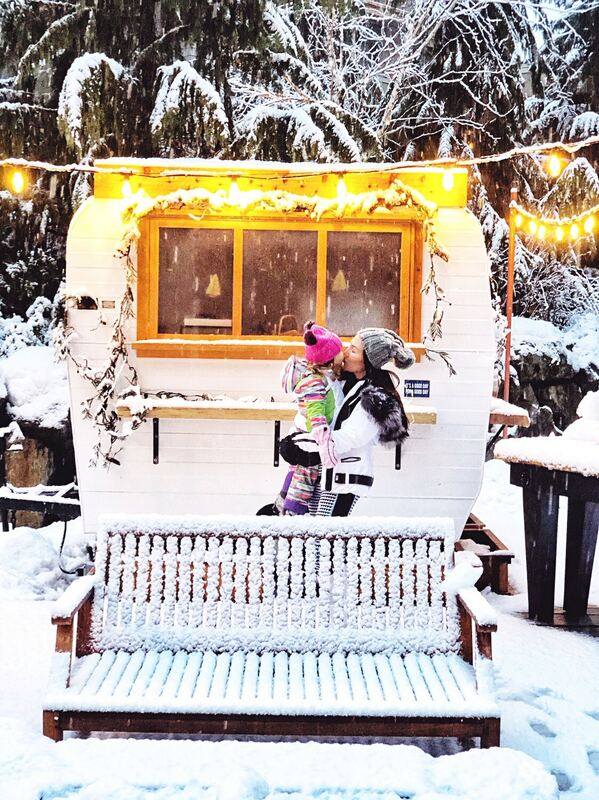 We stayed at Four Seasons Resort Whistler again this year and they’ve added an adorable campfire camper that is one of the most instagrammable places in Whistler for après ski. 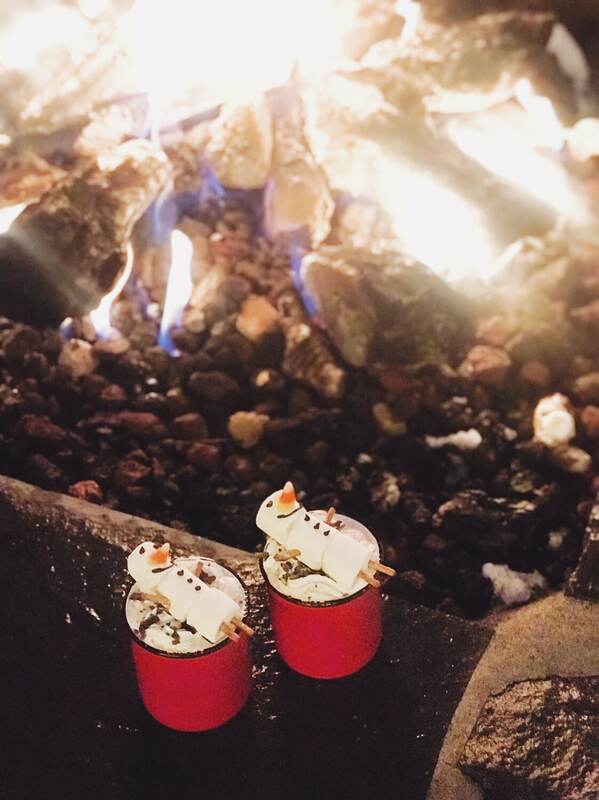 Kaia looked forward to roasting her marshmallows every night and playing in the snow. 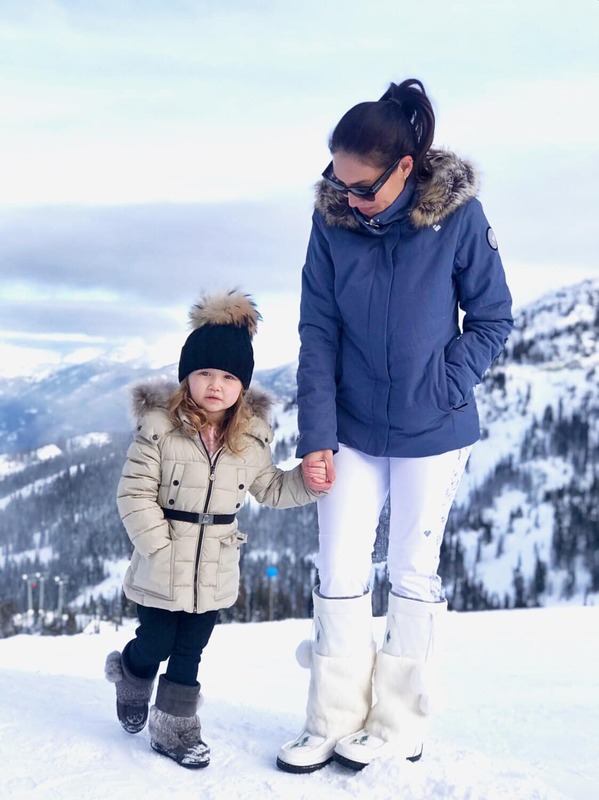 Although we felt she was still too young for ski school, she did get to ice skate for the very first time and it was so adorable to watch! She loved it SO much! 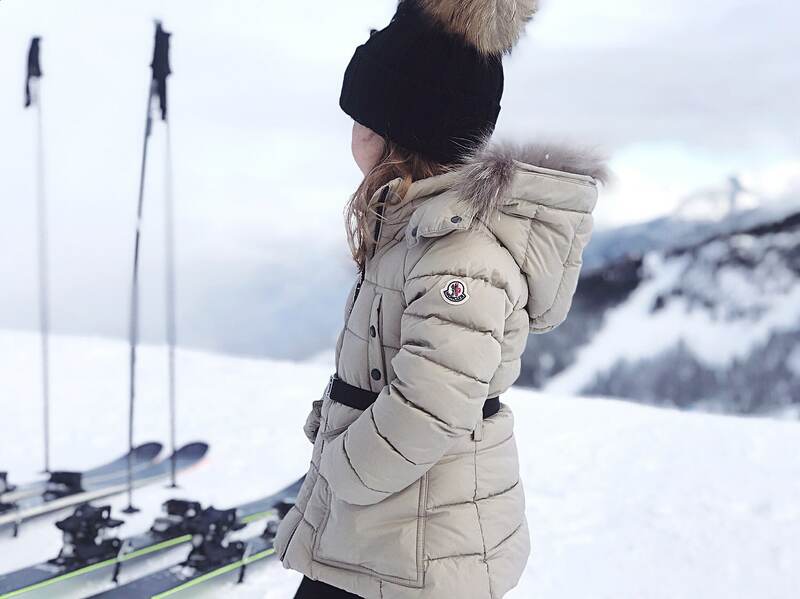 Kaia is seen wearing Moncler beige down padded coat with real fur trip and Catya black knitted hat with fur pom poms. I’m wearing Obermeyer Tuscany II Jacket and Obermeyer Jinks ITB Pant.